By following the manufacturer's recommendations on proper care and maintenance, you will enhance the life and performance of your laminate flooring. Consult your specific warranty for detailed cleaning and maintenance instructions. 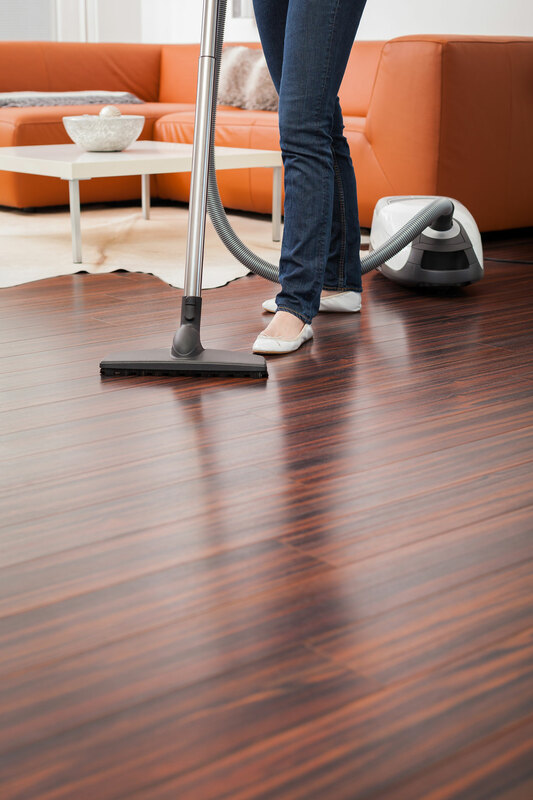 SWEEP OR VACUUM REGULARLY - dust and dirt acts as an abrasive on your laminate floor, causing its appearance to become dull and lifeless. Use a soft broom, dust mop or a soft vacuum attachment without a beater bar or sharp edges that could scratch your floor. Vacuum at least once a week and dust mop or sweep in between vacuuming. MOPPING - follow the manufacturer's guidelines for mopping, using the cleaning products that they recommend. SPILLS - remove promptly. Consult the manufacturer's warranty for details on the proper procedure for handling a spill. Moisture left behind will damage your laminate floor. Never use abrasive cleaners or scrubbing pads. FLOOR MATS - to reduce dirt and moisture from damaging your laminate floor, some manufacturers suggest the use of frequently cleaned mats or rugs in high traffic areas, particularly at exterior entries. Make sure that the backing on the carpet is recommended for laminate flooring. Rubber backed carpets may leave a discolouration on your floor. Also, make sure that dirt or grit is not left beneath the carpet or mat, as this will abrade your floors. FLOOR PROTECTORS - use soft floor protectors on the underside of furnishings and chairs to prevent scratches and abrasions, and replace them regularly. Use glide systems for kitchen appliances and ensure that your floor is protected when moving furnishings. MAINTAIN PROPER HUMIDITY LEVELS - consult your manufacturer's guidelines for the recommended humidity levels in your home. FOOTWEAR - do not walk on the floor in high heels, cleats or shoes with deep treads that may hold grit or stones that can cause permanent marks or gouges. Ensure that all footwear is properly wiped and dried, or removed, before walking on your laminate floor. PETS - trim pets' claws to avoid excess scratches. Click here to download our PDF for laminate floor care.